Well, it’s not the epic reunion fans are hoping for, but it’s a damn good start. Former Guns N’ Roses bassist Duff McKagan is officially set to join the band for five South American tour dates. 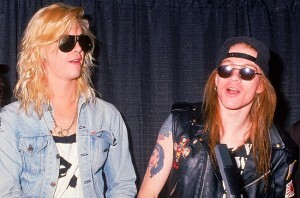 McKagan was a member of Guns N’ Roses from 1985-1993. McKagan will be filling in for current GnR bassist Tommy Stinson, who will be leaving to briefly tour with his band The Replacements. 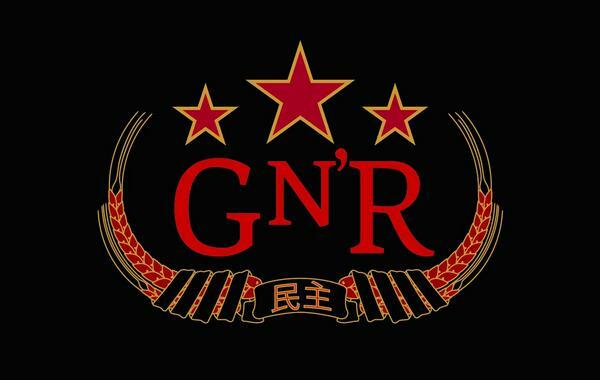 Duff joined GnR for rehearsals last month in Los Angeles. The Replacements are set to play the Coachella Music and Arts Festival on April 11 and April 18 in Encino, CA and the Shaky Knees Music Festival on May 10 in Atlanta, GA. Stinson will re-join Guns N’ Roses on May 13 at the Sands Event Center in Bethlehem, PA.
McKagan said that this is his way of “being a good buddy” to GnR frontman Axl Rose. He’s also excited to play some old tunes again. 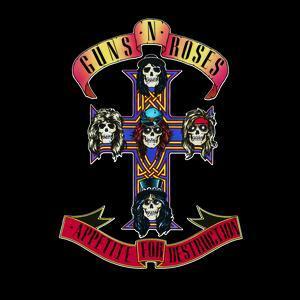 “It’s pretty great to play these songs again, and looking forward to playing some gigs with my pal (Axl Rose) again. South America is always a radical place for rock n roll and I’m honored to be doing this thing, in that place.” Duff has been keeping very busy since his departure from Guns N’ Roses. He was a member of Velvet Revolver from 2002-2008 with fellow GnR alum Slash and Matt Sorum. McKagan reunited with Guns N’ Roses in 2010, performing three songs with the band at the O2 Arena in London. Two months later, Duff McKagan’s Loaded supported Guns N’ Roses on two of their North American shows. In 2012, Duff performed with select members of Guns N’ Roses at the band’s induction into the Rock and Roll Hall of Fame and joined his new band Walking Papers. The band released their self-titled debut album in 2012 and were a featured act on the Rockstar Energy Drink Uproar Festival in 2013 with Alice In Chains, Jane’s Addiction, Coheed and Cambria, and others. Tagged Axl Rose, axl rose duff mckagan, axl rose news, classic rock, Coachella 2014, coachella festival, guns and roses, guns n roses duff mckagan tour, guns n roses duff mkagan, guns n roses news, guns n roses reunion, guns n roses reunion tour, guns n roses south american tour, guns n roses tour 2014, Guns N' Roses, hard rock, heavy metal, music, music news, rock music, Rock On The Range, rock on the range 2014, The Replacements, The Rock Revival, TheRockRevival.com, tommy stinson, walking papers.